Pork is a lean meat, which makes it a healthy protein for low-fat meals. 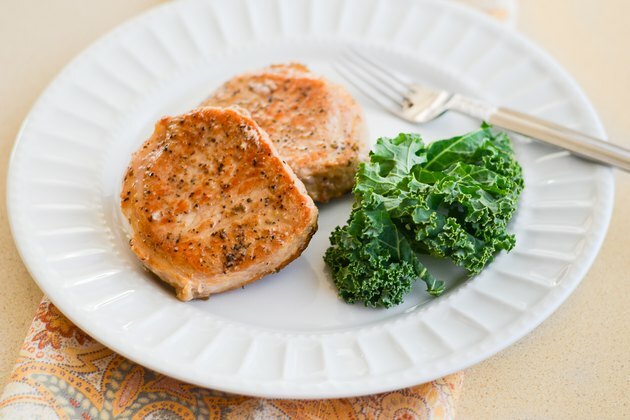 Lean cuts of pork, such as center-cut pork chops have a mild, almost bland flavor, and can dry out quickly. 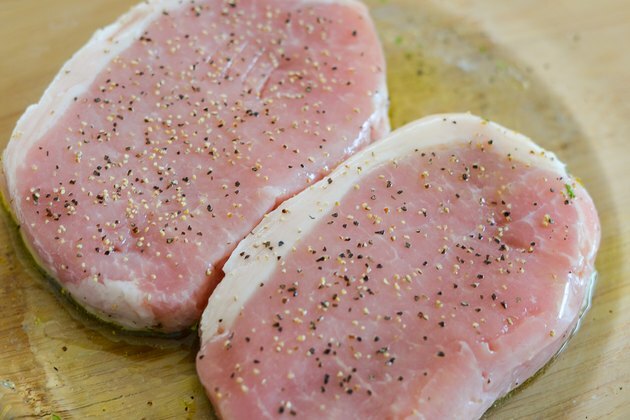 Center-cut pork chops, also known as top loin chops or America's cut, are thick, lean, boneless chops cut from the loin portion of the hog. Treat them first with a marinade or brine to increase flavor and juiciness, and to keep the cooking time brief. Combine salt and water in a saucepan at a ratio of 1 tablespoon of salt for every 1 cup of water. Bring the water to a boil to dissolve the salt. Allow the salt mixture to cool. Add any additional desired flavorings, such as brown sugar, garlic, rosemary or juniper berries. 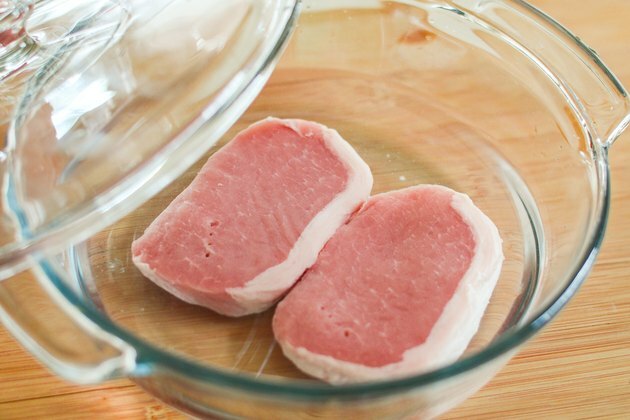 Place the pork chops in a shallow glass, plastic or metal pan and pour the brine over them. The brine should completely cover the chops. Cover and refrigerate the chops for at least 30 minutes, but no more than four hours. Brining them longer than four hours can cause them to become mushy. Remove the chops from the refrigerator and discard the brining liquid. Pat them dry with a paper towel. Brush them lightly with olive oil and salt and pepper to taste. Preheat the oven to 400 degrees Fahrenheit. 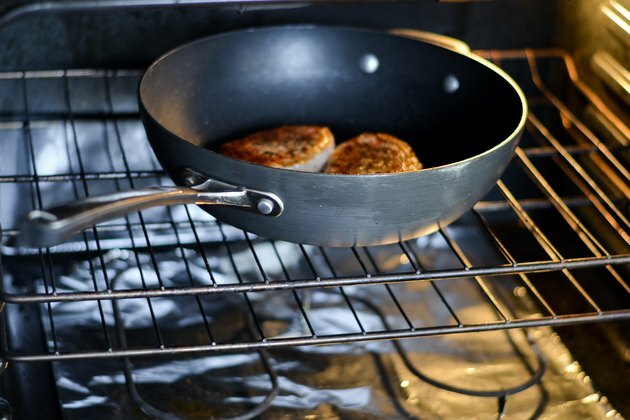 Heat an oven-proof skillet over medium-high heat. Add the pork chops and brown them evenly on both sides, but don't overcook them. Browning them usually takes about 5 minutes. 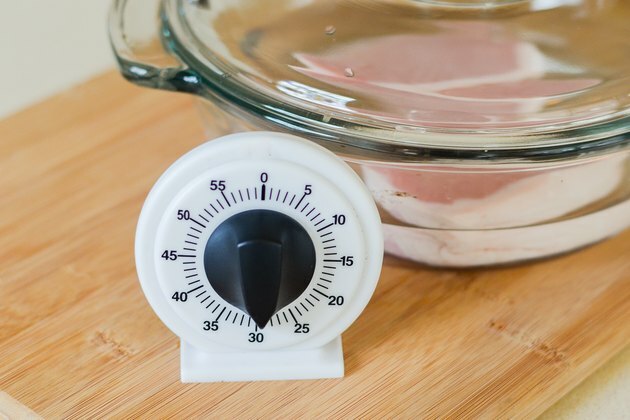 Slide the pork chops into the oven and bake them for an additional 6 to 10 minutes. Most center cut chops are between 1 1/4 and 2 inches thick. Depending on the thickness of the chops, they may need additional time. 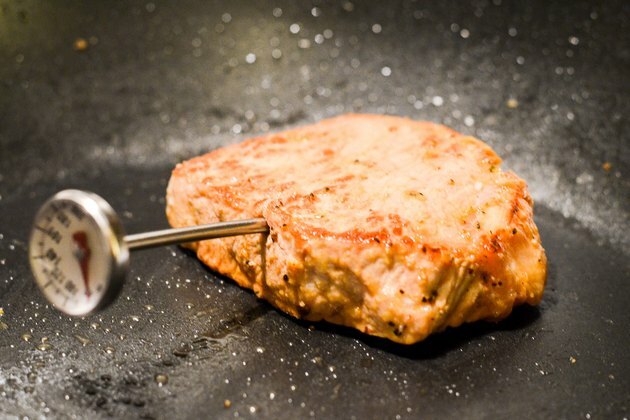 Insert a meat thermometer through the sides of the chops, not the tops. They are done when they reach an internal temperature of 145 F. At this temperature, they'll be slightly pink, juicy and flavorful. 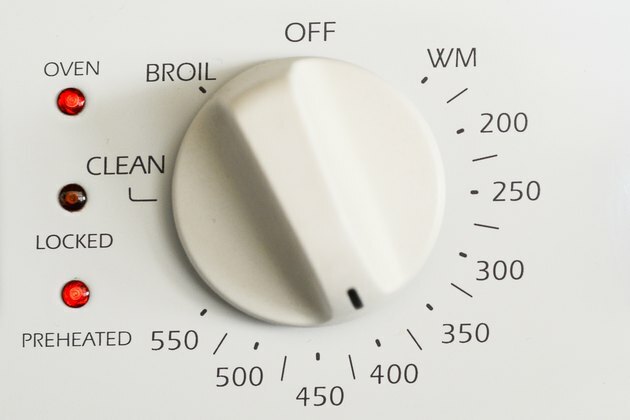 Avoid cooking them longer, which can dry them out. 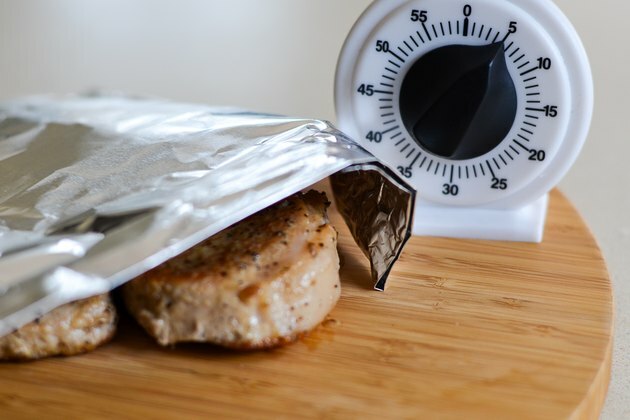 Transfer the pork chops to a serving platter and place a piece of aluminum foil loosely over them. Allow them to rest for at least 5 minutes. This brief resting time redistributes the juices, making for a juicier chop. Consider marinating as an alternative to brining. Combine a salty ingredient, such as soy sauce, with garlic, liquid smoke and any other desired flavorings. Marinade the pork chops in this liquid for at least 2 hours or overnight.